2019 Genesis 36CK 5th Wheel Toy hauler, with Dual A/C and slides! 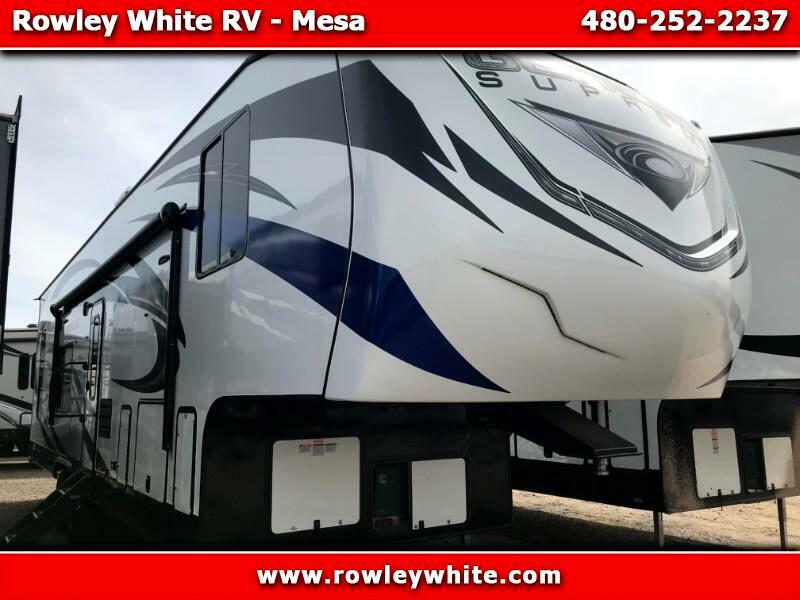 NEW 2019 Genesis Supreme 36CK Fifth Wheel Toy Hauler with bedroom and living room slide out! *The cargo area is 15 feet to the first cabinet and 19 to the first cabinet on the other side. There is 78 inches below the rear bunk.